If you are looking for a top Dade, Broward, or Palm Beach accident injury doctor to evaluate and treat your injuries resulting from an accident, contact Dr. Keren Gomez, a board certified chiropractic physician with 7 convenient locations to meet all your needs after an accident. If you've been injured in a vehicle collision, it is important that you seek out immediate chiropractic treatment before long-term pain is induced. While you may not feel pain immediately after an accident, you should be aware that many times, the physical pain from accidents isn’t always instantly felt by victims. Major pain symptoms can take days and sometimes even months to appear, but when chiropractic care is sought right away, spine health can be managed, which hopefully can ward off future pain. During an auto accident, the head and the neck are especially vulnerable as they are offered little support within the vehicle as the collision occurs. 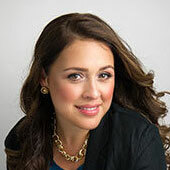 Dr. Keren Gomez is trained in various forms of chiropractic treatment, and can take a specialized approach to your individual chiropractic treatment plan based on her careful diagnosis. With gentle adjustments, you can experience a great degree of pain relief using chiropractic treatment for auto accident pain. As a patient of Dr. Gomez, you can expect to receive the benefits of her holistic care approach to wellness and pain recovery. 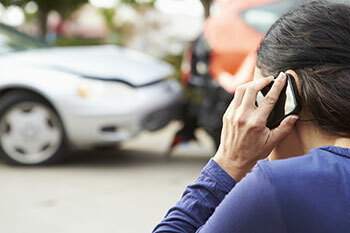 At Dr. Keren Gomez Chiropractic Pain Clinic, we have years of experience dealing with auto injuries, and we understand the trauma that is involved with being in an auto accident. We will provide you with the assistance necessary in contacting quality legal counsel who will work closely with our office and the insurance company for a prompt and efficient turnaround time. Dr. Keren Gomez is dedicated to treating patients with a holistic approach while giving patients the tools necessary to actively participate in their own well being. With Dr. Keren Gomez, our chiropractic care includes treating not only pain symptoms, but the entire person, which we believe helps our patients attain optimal levels of health and wellness. If you’d like more information on how our chiropractic pain treatment in Dade, Broward, and Palm Beach can help you overcome your accident injury, call our offices today at 305-761-6528, or click here to complete our convenient online contact form for a prompt response.